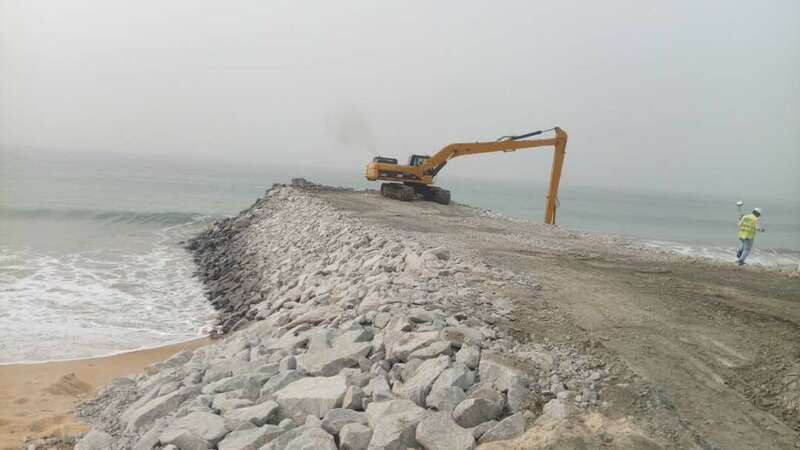 In what could be best described as a major step towards the actualization of the proposed Lekki Deep Sea Port, major construction work has commenced on the site located at the Lagos Free Trade Zone (LFTZ), Ibeju-Lekki, with the construction of the main breakwater for the port. The management of Lekki Port LFTZ Enterprise (LPLE) disclosed this during the monitoring visit of the Acting Director General of the Infrastructure Concession Regulatory Commission, (ICRC) to assess progress of the project, which held on Friday, 26 January 2018. 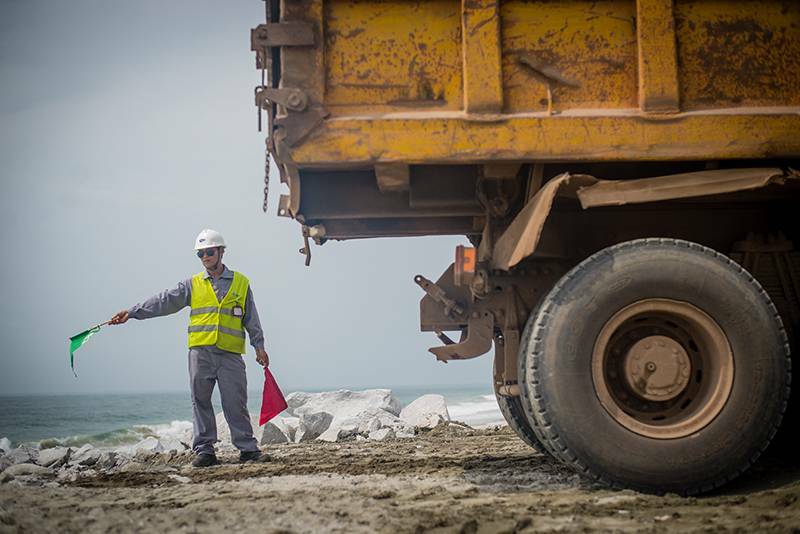 Speaking during the visit, the General Manager, Projects, of LPLE, Mr. Steven Heukelom noted that the breakwater construction is one of the largest components of the port construction. 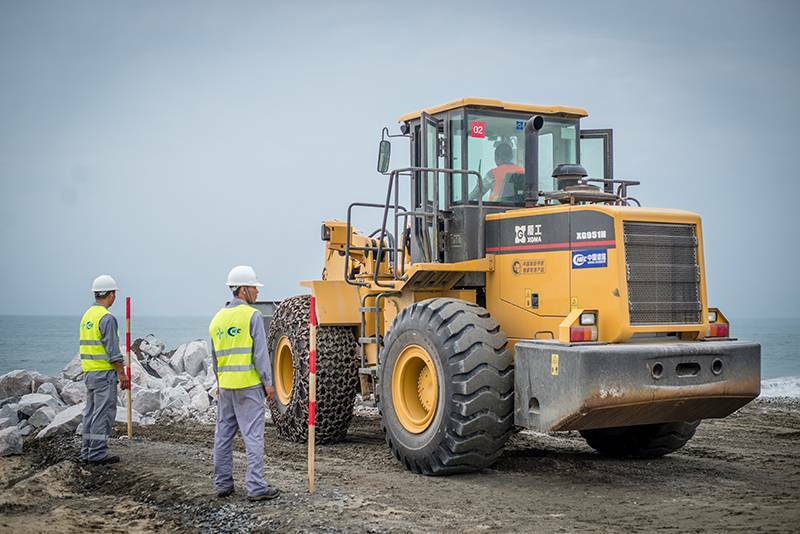 Commenting on the technical partners for the project, Heukelom explained that China Harbour Engineering Company Limited (CHEC), the engineering and construction arm of China Construction and Communication Company (CCCC), is the Engineering, Procurement and Construction (EPC) contractor for the Port (through China Harbour Engineering LFTZ Enterprise); while Louis Berger Group, USA, one of the largest multi-disciplinary infrastructure consulting firm in the world is the Project Management Consultant (PMC) in charge of supervising the construction of the port. 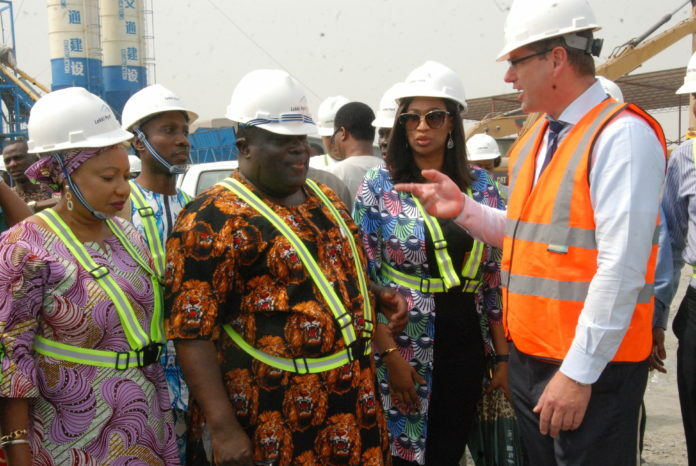 “The responsibilities of CHEC includes the overall design of Lekki Port, construction of the marine and landside infrastructure for the terminals and utilities, and dredging of access channel and port basin, while Louis Berger is responsible for contract management, design review and supervision of the construction work’’ he said. Addressing the media shortly after the briefing and tour of the project site, the Acting Director General, Infrastructure Concession Regulatory Commission (ICRC), Engineer Chidi Izuwah stated that the visit to the Lekki Deep Sea Port project site is in compliance with Section 20 of the ICRC Act 2005 which empowers the Commission to monitor compliance and ensure efficient execution of all nationwide ‘PPP’ projects. “We are here as part of the Commission’s 2017/2018 monitoring programme to assess the level of progress made in implementing this project as well as compliance with terms and conditions of the contract agreement signed by all parties’’ he said. Engr. 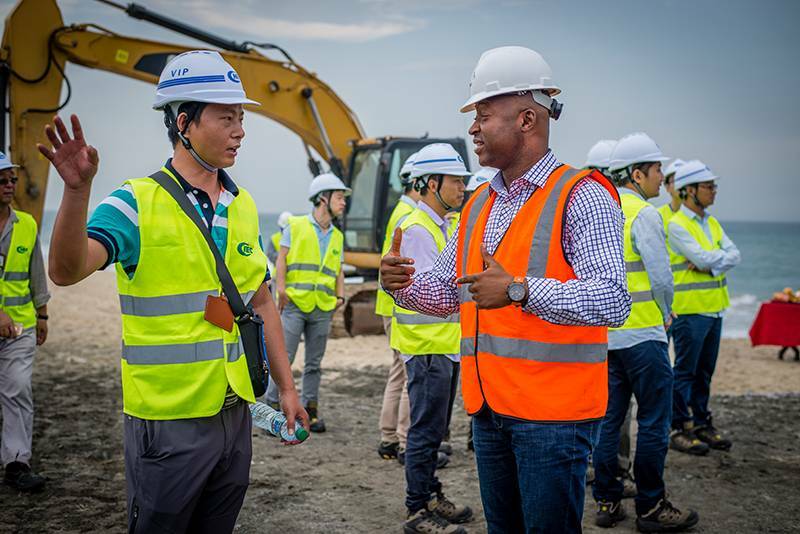 Izuwah commended the management of Lekki Port for the progress recorded so far on the Lekki Port project and for choosing such qualified and credible technical partners to work with them on the project. He then urged the company to ensure timely completion of the project. 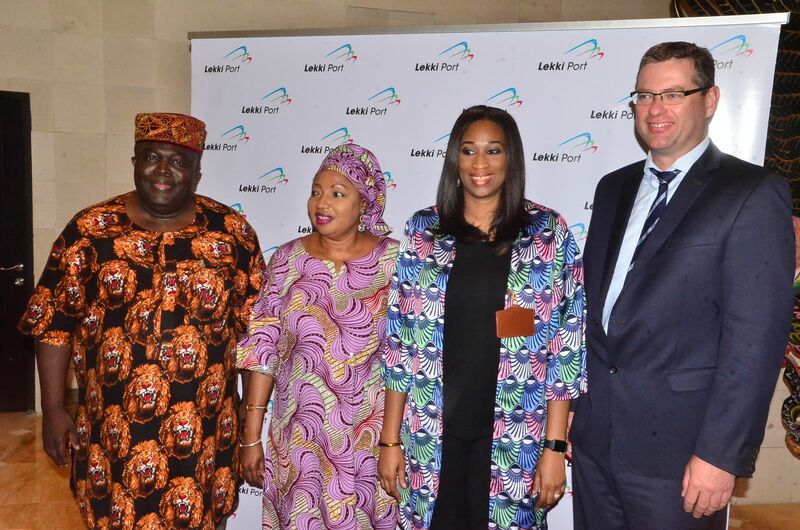 While describing the magnitude of the Lekki Deep Sea Port Project, Heukelom noted that upon completion, the Port would be one of the deepest in West Africa with 16.5-meter water depth and one of the most modern, efficient ports in sub-Saharan Africa with capacity to berth larger vessels thereby making Lagos the trans-shipment hub in West Africa. “We are working tirelessly in conjunction with China Harbour Engineering Company to deliver a port which will be a state-of-the-art, model deep sea port, not only in Nigeria but in sub-Saharan Africa” he said.